Moisture Problems? The HT-3000 helps to control the costs and ensure the quality of your job. A practical tool for monitoring humidity and temperature. 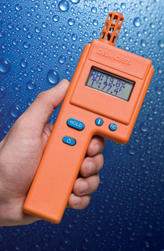 Combined with the use of one of our material moisture meters, the HT-3000 brings the solution of moisture problems at hand.